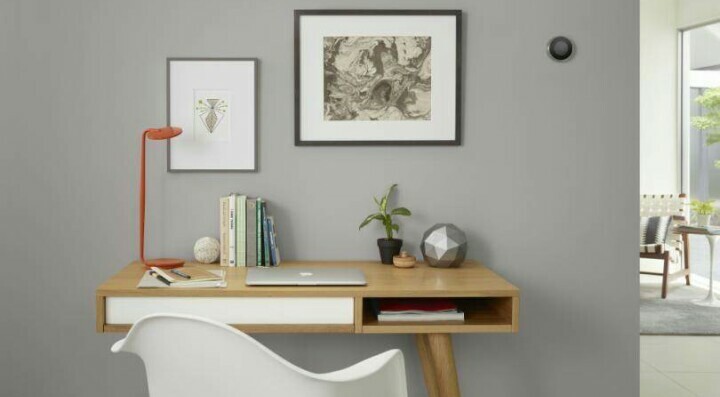 Security company Norton has unveiled a new home security device designed to protect Wi-Fi networks, devices that use those networks, and all of your Internet of Things—the first such device from Norton. While the Norton Core is intended to help consumers manage and secure their local Wi-Fi networks, it’s boldest statement is as an object. 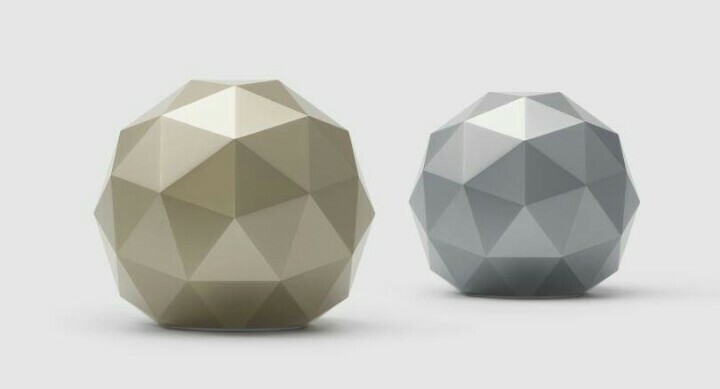 Instead of an ugly, clunky router enclosure, the Norton Core is a geodesic dome. Each Core device is about 7 inches across, and comes in either Titanium Gold or Granite Gray. Setup and management of the Core is handled from an associated app. While having a beautiful network device might seem unnecessary, or even silly, there is a very practical reason. Most homes have their network hookup near the TV, which in turn is often a focal point for a room. A more aesthetically pleasing router means you won’t have to hide it. We’ve seen an effort to class-up the appearance of routers for some time, from the angular Netgear Nighthawk to the columnar and customizable Asus Google OnHub. 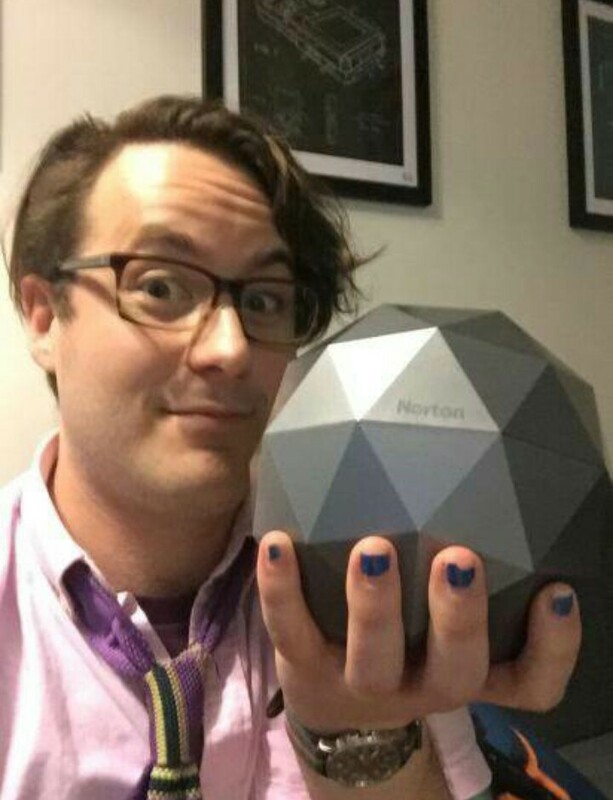 Beneath the geodesic dome, the Norton Core sports a 1.7GHz dual-core processor, 1GB of RAM, and 4GB of eMMC flash memory. It supports IEEE 802.11 a/b/g/n/ac and simultaneous dual-band 2.4GHz and 5GHz. It also supports 4×4 AC2600 MU-MIMO and Bluetooth Low Energy (BLE). On the hardware end of things, the Core has two USB 3.0 ports, and four Gigabit Ethernet ports. First and foremost, the Core is a router. This is a different tack than Bitdefender is taking with its Box device, which is intended to connect to your router, not replace it. The Core includes speedtest tools, device prioritization for additional bandwidth, and customizable guest networks that expire at a set period of time. The Core also lets you manage which devices, including those of your friends, can connect to your network. The Core also includes parental control features. You can, for example, limit the content different users can access. You can also set a time limit and hours of operation. That way, children in the home will be unable to access the Internet past their bedtime. The Core will also feature automatic updating, meaning you’ll always have the latest and most secure software onboard. I had the chance to handle the Core devices, and was surprised at their design. They really do look very nice, and I wouldn’t be ashamed to have one in my house. I even took a selfie with it. The plastic enclosures don’t have that slick, cheap look that other devices often have, and it would blend in nicely with most decors. I did notice a few large seams on the units, but was assured that these were production prototypes and that devices consumers get off the shelves will be tighter. The Norton Core will retail for $279.99, and is available for pre-order for a limited time at $199.99. Purchase of the Core device includes a year of Norton Core Security Plus, along with 20 licenses for desktop and mobile devices on your network. Norton notes that the Core device will protect “unlimited” IOT devices. Subscriptions for the Core software will cost $9.99 per month after the first year. Norton’s current offering, Symantec Norton Security Premium (2017), is a PCMag Editors’ Choice winner.